Styx is a piece of video art created for the .temp exhibition and deals with the border between the living ones and the living dead. 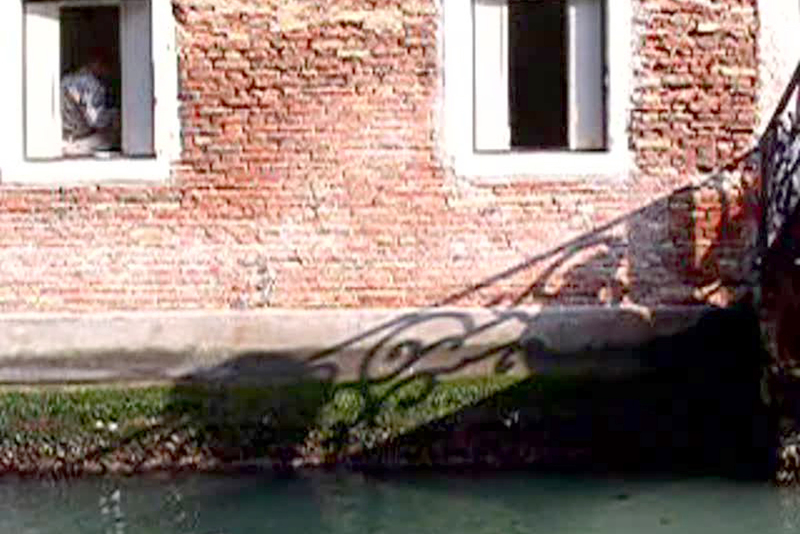 What you see is the shadow of a balustrade projected onto a wall in Venice. 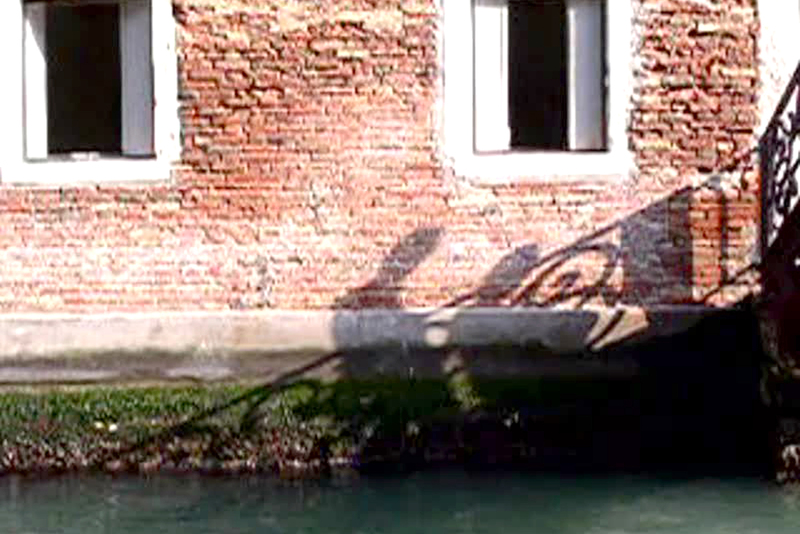 This shadow seems to lead into the canal, which symbolizes the river Styx from the ancient Greek mythology, parting the realm of the living with the realm of the shadows/dead (Hades). As soon as someone crosses the bridge his shadow will be projected onto the wall and it seems that his shadow descends independently into the water (realm of the shadows/Hades). Just as shadows descend into the realm of dead other shadows ascent again into the living world. The shadow detached bodies that cross the bridge are still walking among the living and switch with effortlessness between animated and exanimated. Does that portal to the underworld just reveal what usually stays hidden? The underworld seems to be right among us without an exact separation to the world of the living. It is as if the shadow detaches from the bodies and reveals the true colors of those busy wanderers. the daily schizophrenia, the permanent shift between euphoria and depression that accompanies our society is being revealed at the interface between water and wall.